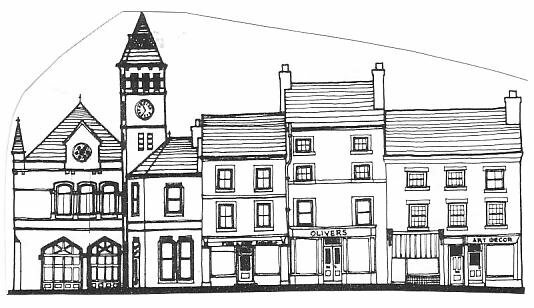 An eye-catching Italianate building in sandstone by A.B.Bradby. 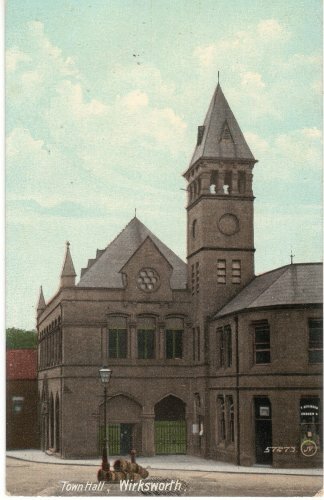 The foundation stone was laid in 1871. 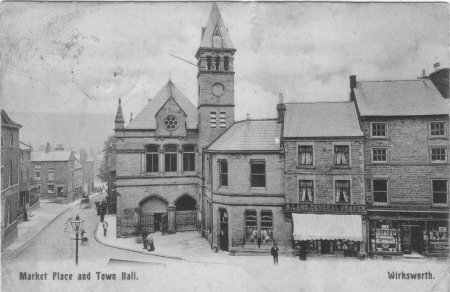 The former owner of the Town Hall was the Wirksworth Town Hall and Market House Co. 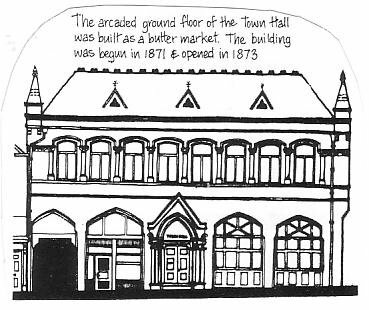 The area behind the filled-in street level arches once held a butter market but is now occupied by the enlarged Library. 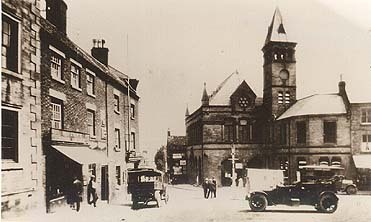 In the bottom right of the tinted photo is Thomas Atkinson, grocer's. (see: 1881, 1891 and 1901 Census). Next to that is Samuel Land's drapers shop, see: 1901 Census.